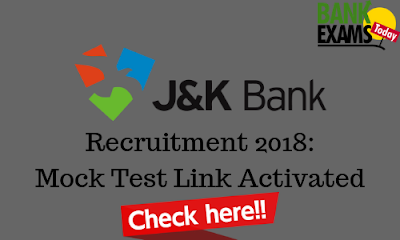 J&K Bank has recently released the Mock Test Link for both Banking Associate & PO posts. Click Here for Mock Test(PO). Click Here for Mock Test(Banking Associate).